When looking at the 2017 Mazda3 vs. the 2017 Honda Fit, you’re bound to uncover some major differences. While these models may seem strikingly similar, they vary quite a bit in a head-to-head comparison. Biggers Mazda has all the information you need to make the decision for your next big car purchase. Learn more about safety, engine specs, and ergonomics within these two vehicles. Come to our showroom today for a test drive! The Mazda3 Touring and Grand Touring trims come standard with Smart City Brake Support, a forward braking system with cameras in front of the vehicle. The system brakes when it thinks a collision is likely to happen ahead of the vehicle. You can also select the Grand Touring trim with an available Lane Departure Warning system. This technology warns the driver when the Mazda3 drifts from the lane without a signal. Mazda3 models have an optional Cross-Path Warning System, which uses a rear radar to sense possible collisions. All Mazda3 models come standard with an E911 Automatic Emergency Notification that phones emergency services if the airbags deploy. What about the competition? 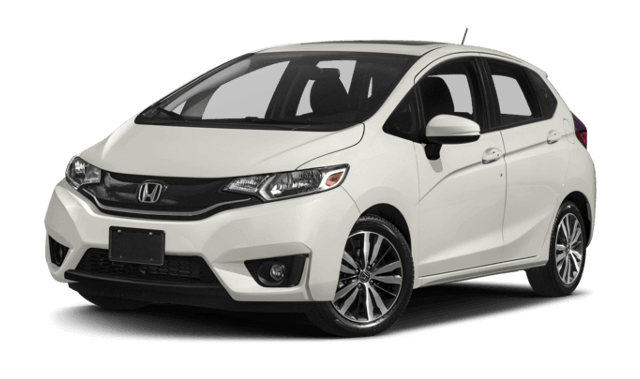 You will not find Smart City Brake Support, Lane Departure Warning, Cross-Path Warning System, or E911 Automatic Emergency Notification in the Honda Fit. 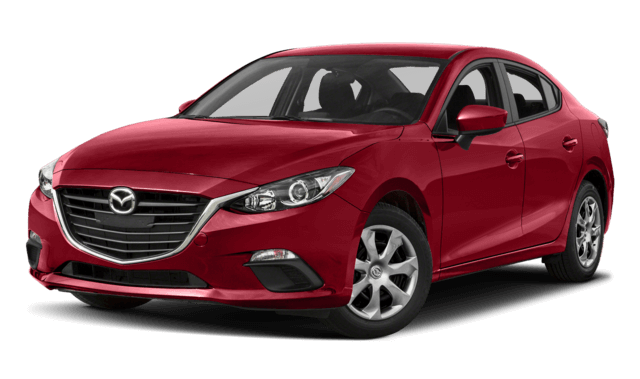 The Mazda3 comes with a 2.0L engine with 155 hp and 150 lb-ft of torque, which outperforms the Fit’s 1.5L engine with 130 hp and 144 lb-ft of torque. When comparing models with automatic transmissions, the Mazda3’s 2.0L engine also exceeds the Fit’s 1.5L engine in testing. The Mazda3 soars from 0 to 60 in just 8.2 seconds, while the Fit takes 9.1 seconds. The Mazda3 also offers a 2.5L engine option with 184 hp and 185 lb-ft of torque, which flies from 0-60 mph in 7.3 seconds. Furthermore, adding optional regenerative brakes to the Mazda3 Grand Touring increases fuel economy numbers. You won’t find a similar system for the Fit. Convenience is key when selecting one of these models. Choose the Mazda3 Touring or Grand Touring trim for standard automatic temperature control as well as dual-zone automatic climate control. You won’t find an automatic temperature control or a dual-zone automatic climate control in the Fit. Another convenience and comfort feature is the extendable visor system for the driver and front passenger which, unfortunately, is not available for the Fit. The Mazda3 Sport’s variable intermittent wipers are ideal for Chicago’s rainy and snowy climate. Just choose the delay timing you need, and you’re ready to go! The Fit’s wipers only have one fixed delay option. When the 2017 Mazda3 goes against the 2017 Honda Fit, you’ll see that the Mazda3 wins over and over again. Come to Biggers Mazda today to take a test drive in the Mazda3, and see even more exciting features! Contact us online to make an appointment.